Win The Aussie Smile Co. Teeth Whitening kit for 2 people! 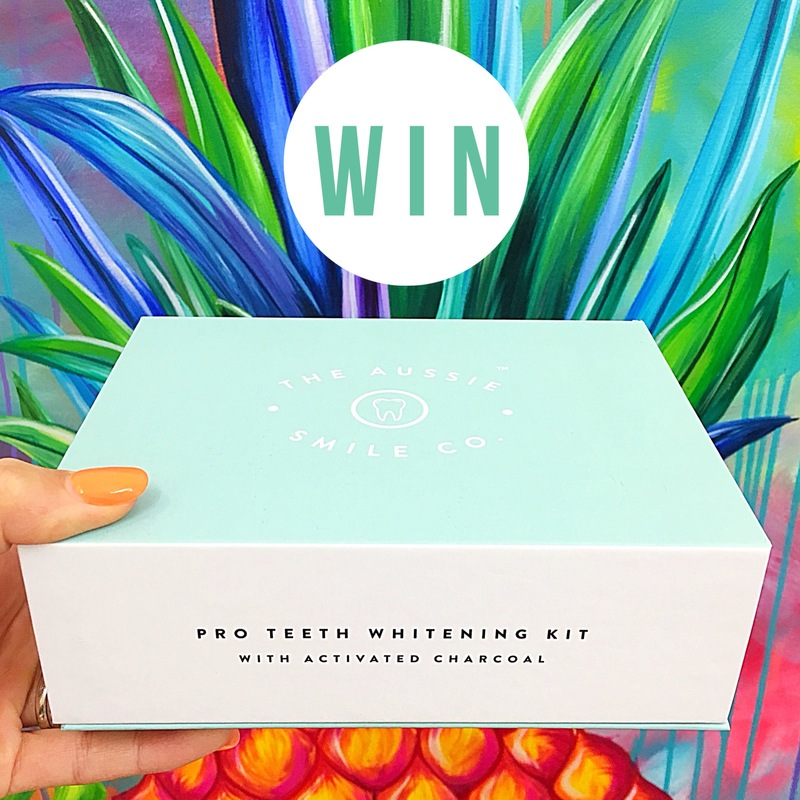 Win The Aussie Smile Co. Teeth Whitening set for 2 people! Prize includes 2 x Organic Activated Charcoal Teeth Whitening Kits with 2 x 10 minute whitening pens! To enter on Instagram, TAG a friend who would love to to get their teeth whitened and FOLLOW @theaussiesmileco to be in the running! You can also enter via our Facebook, by letting us know who you would like to share this prize with and show The Aussie Smile Co. some love. Photo (above) will be posted on Adelady Instagram and Facebook Monday November 20, 2017 and (one) winner announced on either Adelady Facebook OR Adelady Instagram, Wednesday November 22, 2017.